Pretty round pink tray with a luxe style gold outer edge. The perfect display or cocktail tray for a glamorous girly boudoir or a pretty in pink wedding display. The muted coral pink is beautifully complemented by the gold. The perfect accessory for the modern, contemporary home decor. This tray is a fantastic addition to our selection of trays and display stands. With styles, colours and sizes to suit every need. 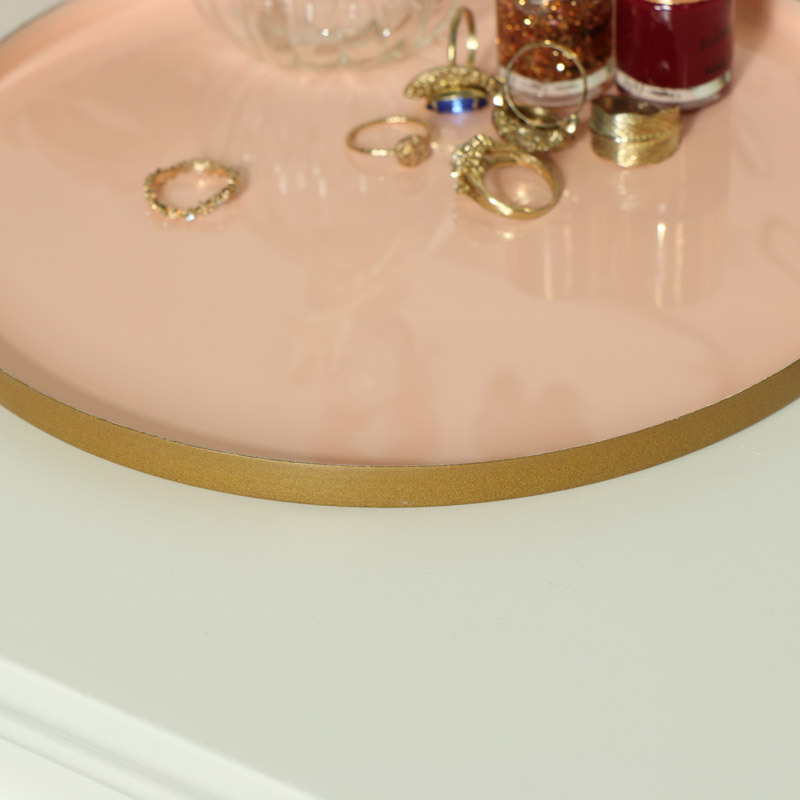 Pretty round pink tray with a luxe style gold outer edge. 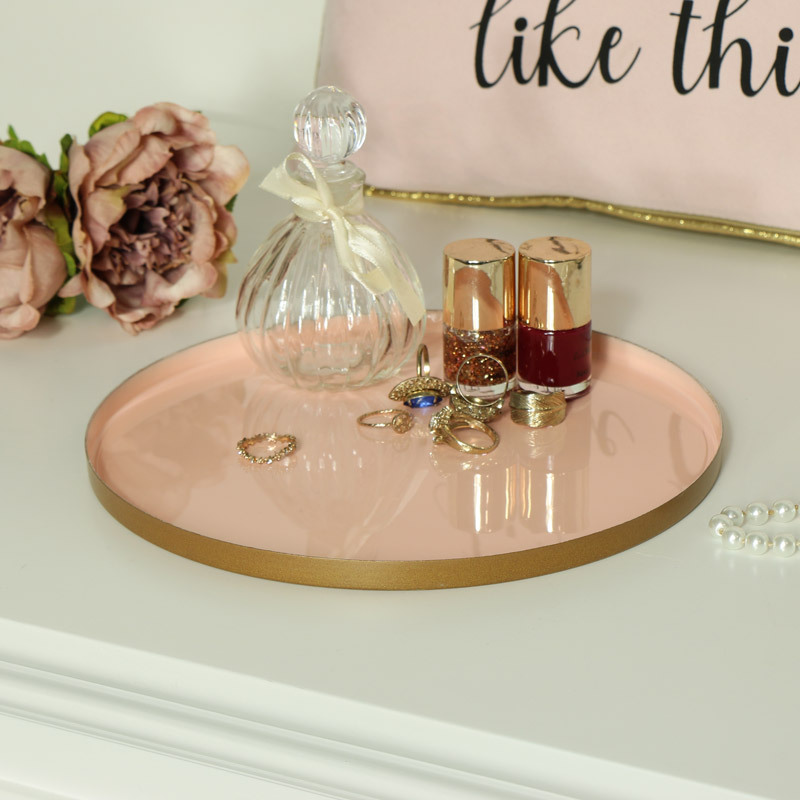 The perfect display or cocktail tray for a glamorous girly boudoir or a pretty in pink wedding display. The muted coral pink is beautifully complemented by the gold. The perfect accessory for the modern, contemporary home decor. This tray is a fantastic addition to our selection of trays and display stands. With styles, colours and sizes to suit every need. Made from metal with a gold out finish and pink enamelled inside.